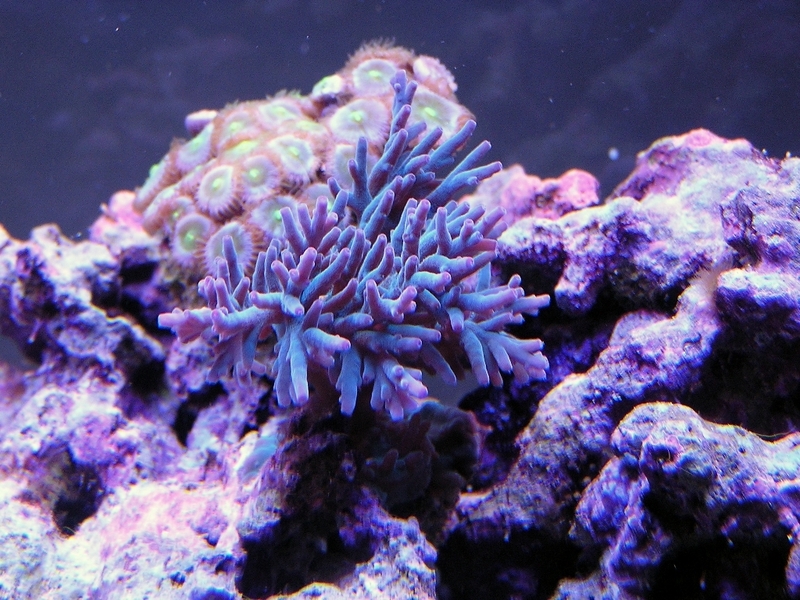 Update (1/13/2011) - I've added 24 watts of blue LEDs and swapped one of the blue plus T5s for a 12k bulb (whiter and brighter). 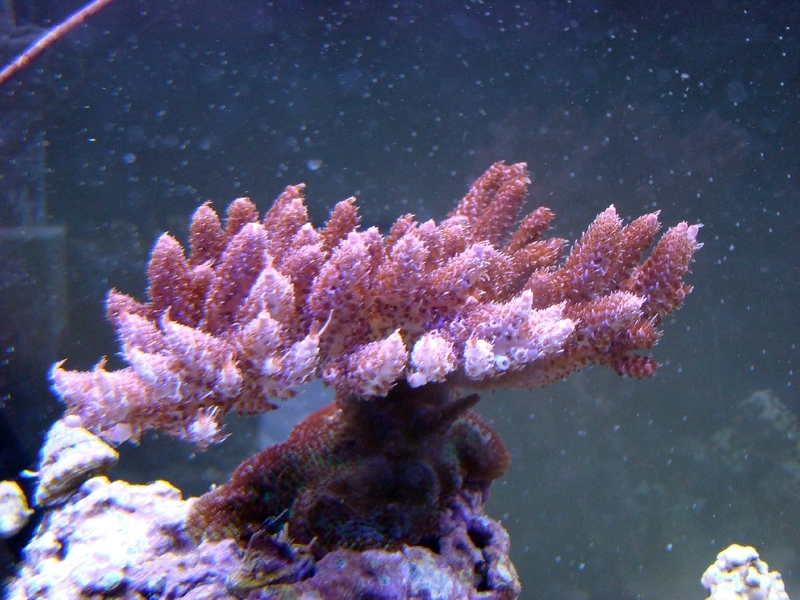 3/13/11 - As of now, this has almost doubled in size. I have posted a pic yet, I seem to have trouble getting a good one for some reason. 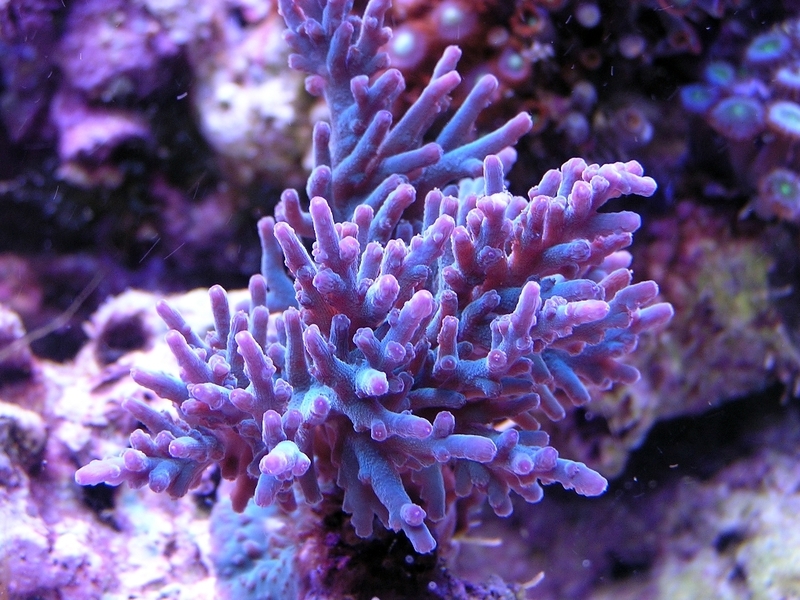 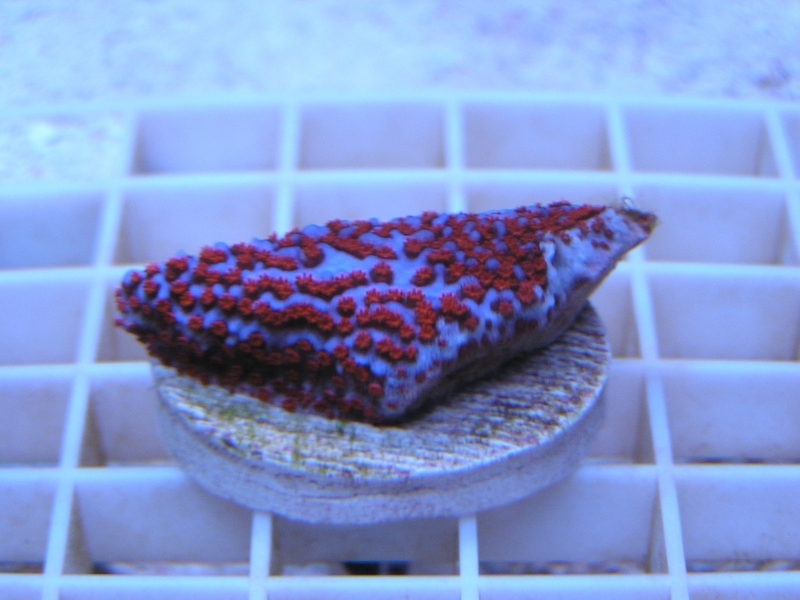 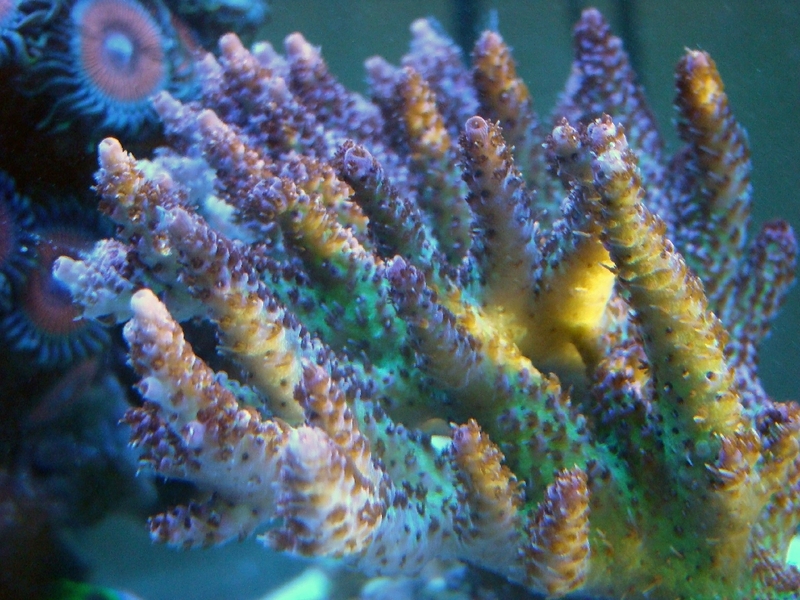 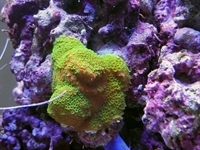 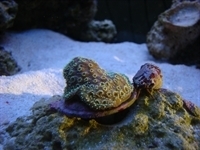 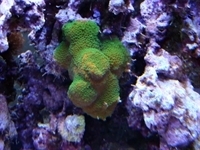 One of my first SPS got this from "Kubi" at the Tampa Bay Reef Club frag swap spring of 2010. 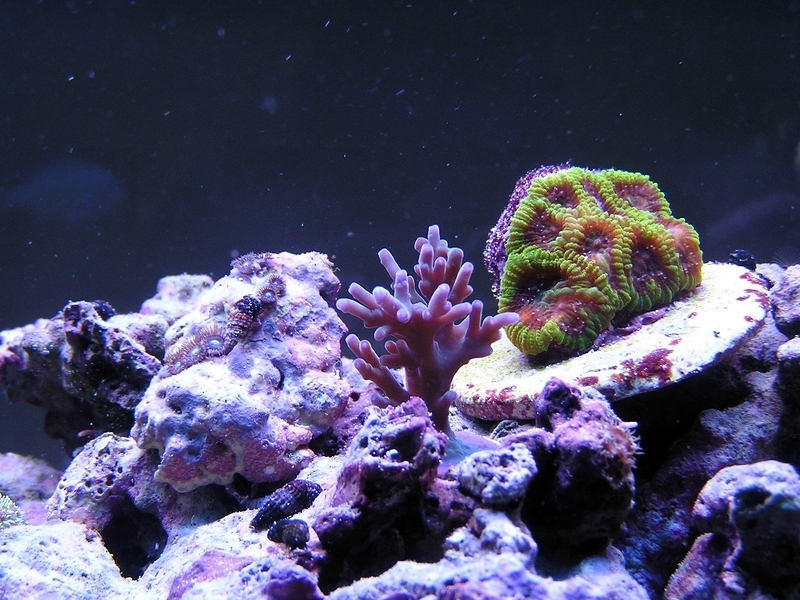 As of Aug 2010, It's growing great, but I'm still struggling to find that prefect location that we both like. Got it back in May 2010. 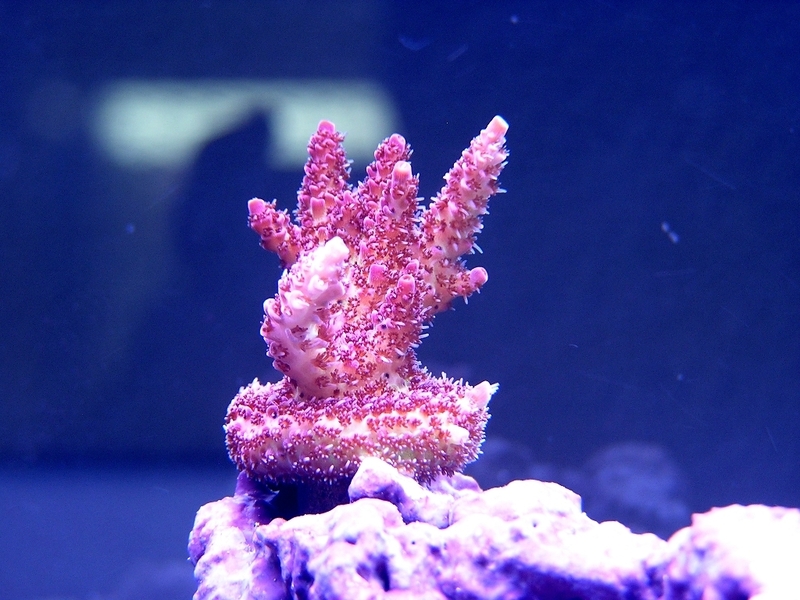 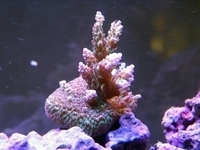 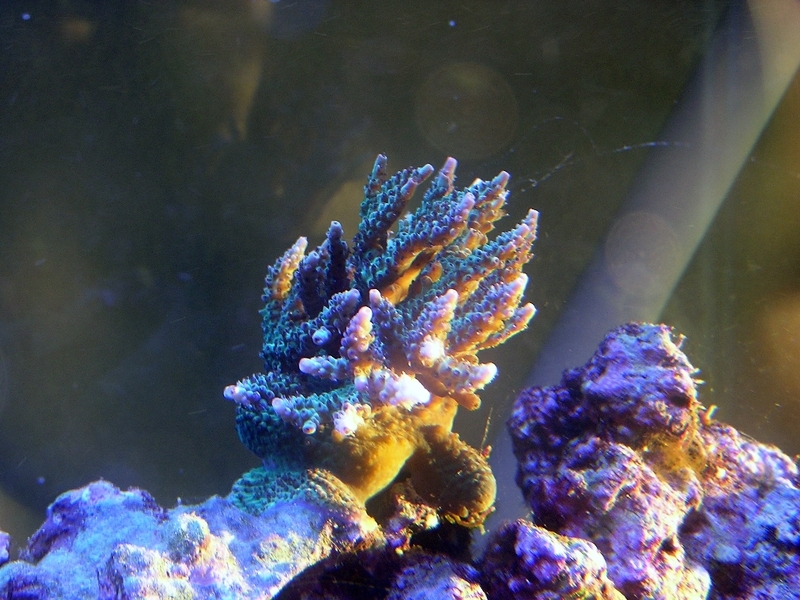 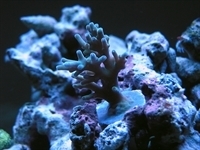 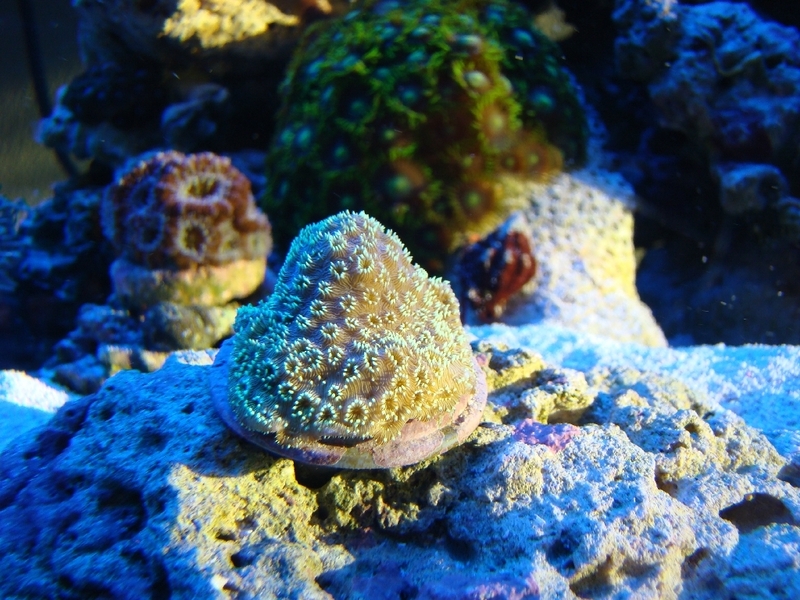 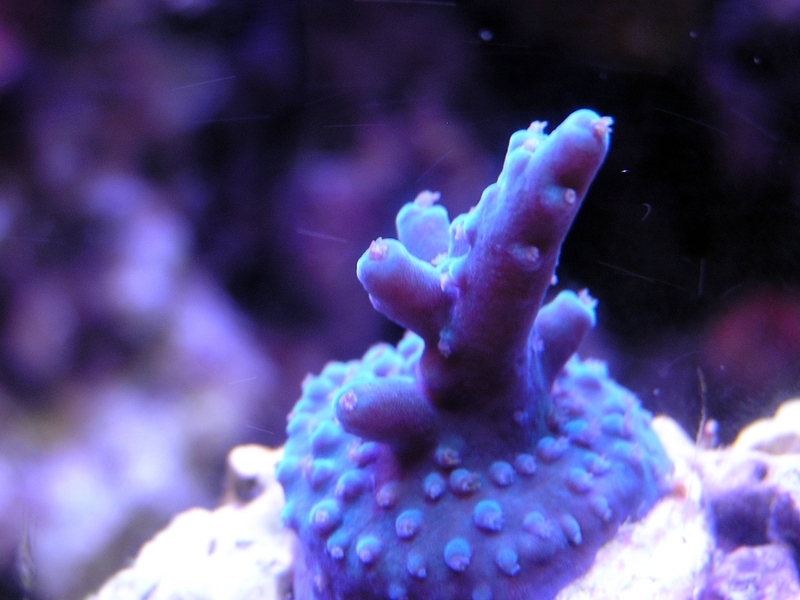 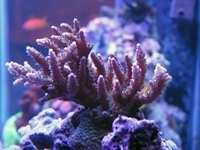 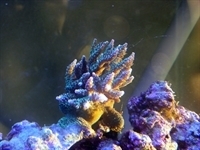 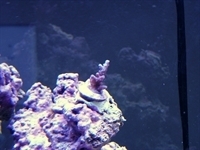 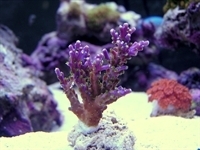 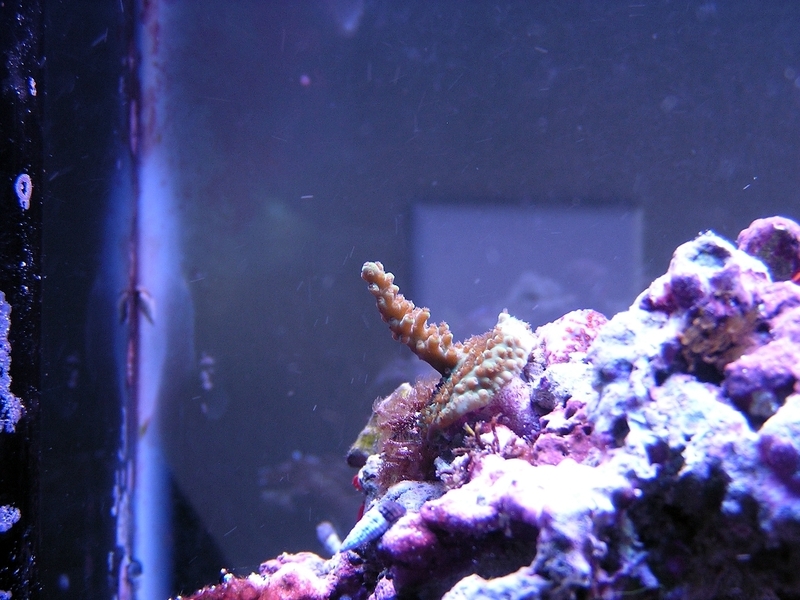 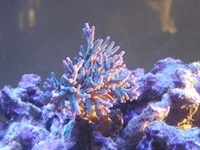 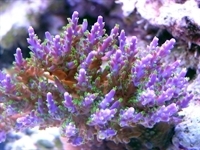 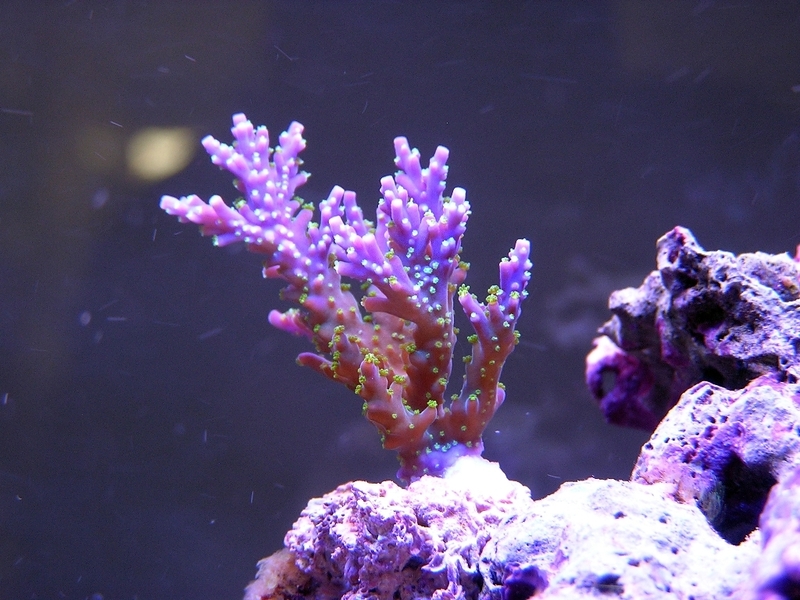 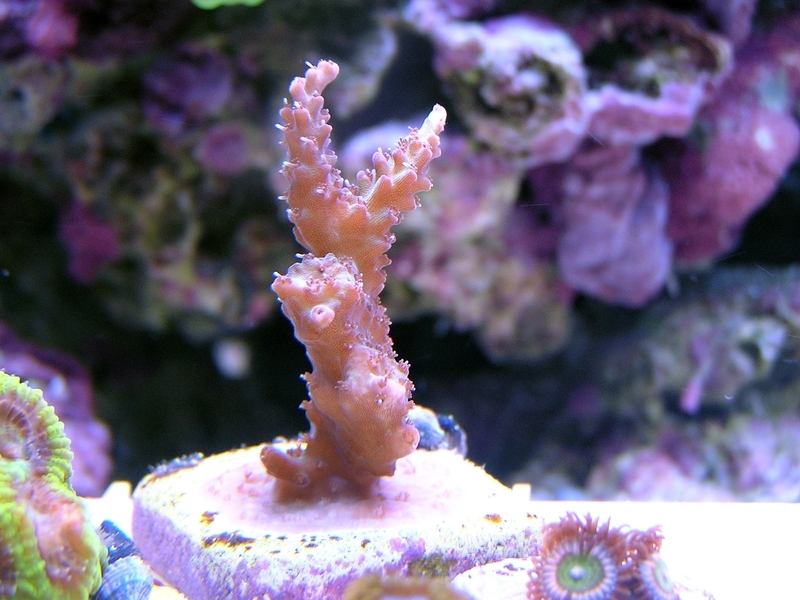 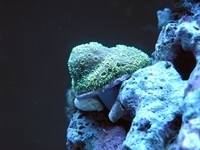 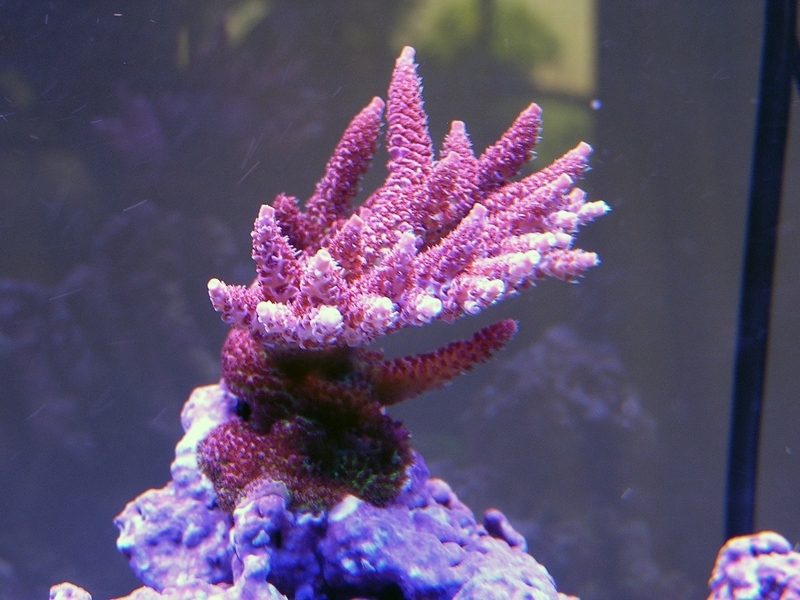 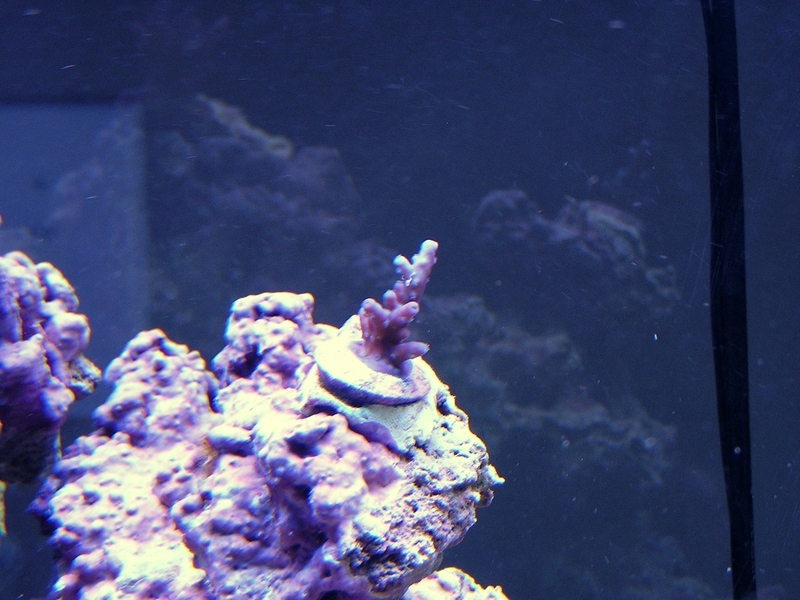 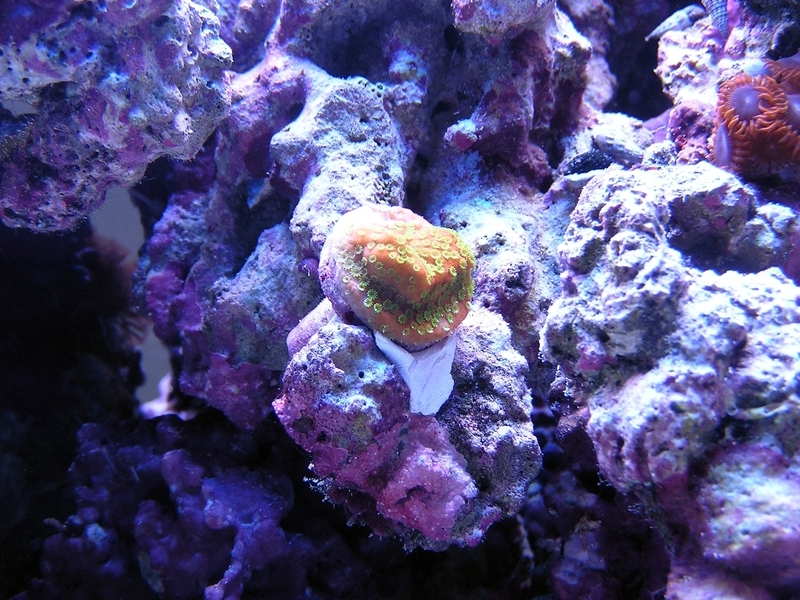 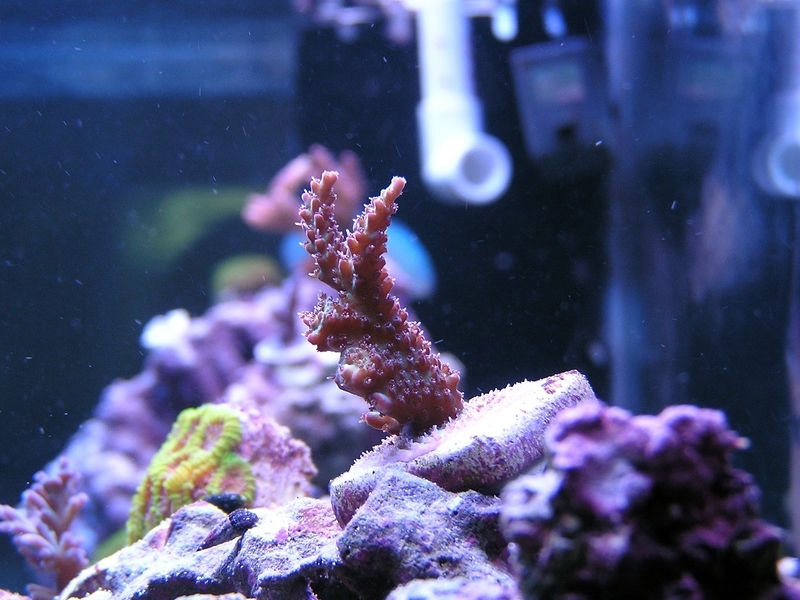 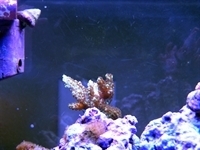 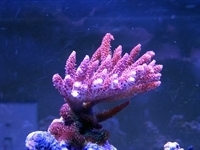 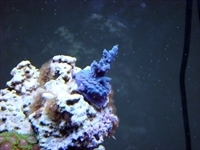 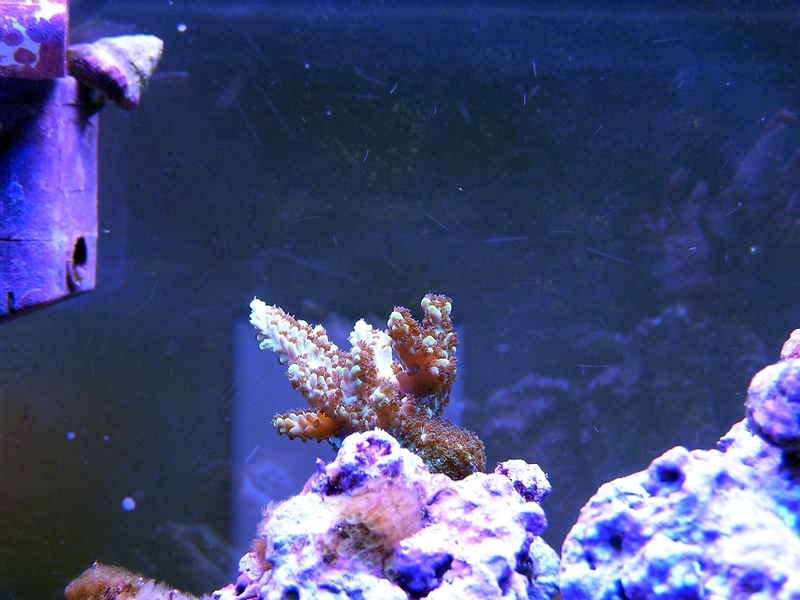 3/13/11 - This coral had grown quite well now that it has a home. 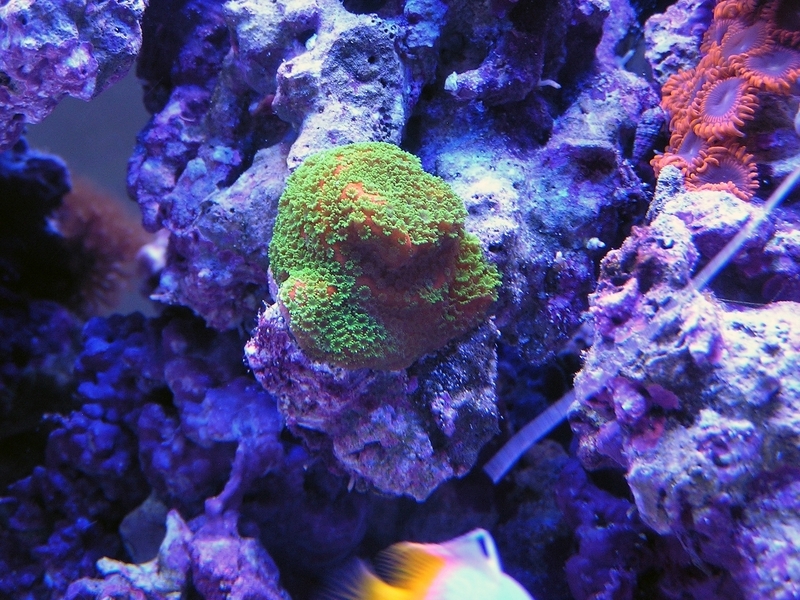 I'm almost concerned it may take over stuff now. This is a very cool looking piece I got from Fish and Other Itchy Stuff (FAOIS) in Oldsmar. 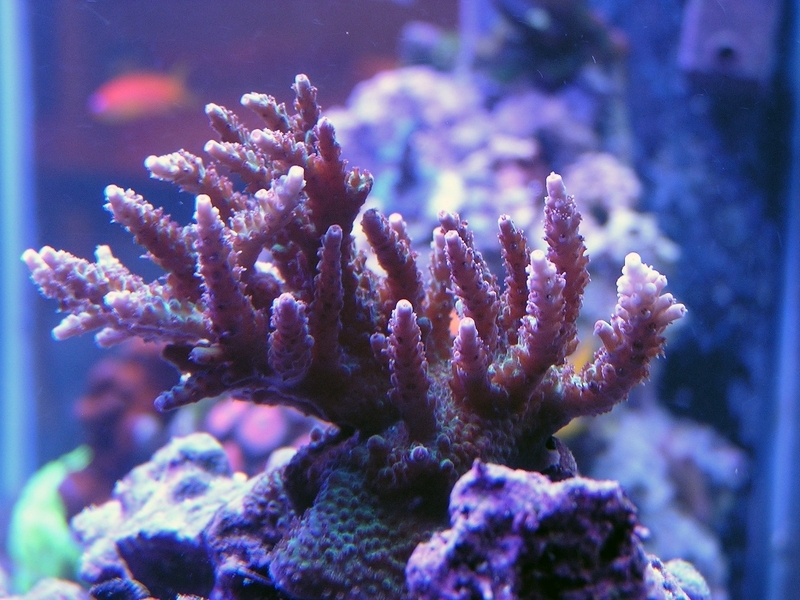 Was told it requires not a ton of light. 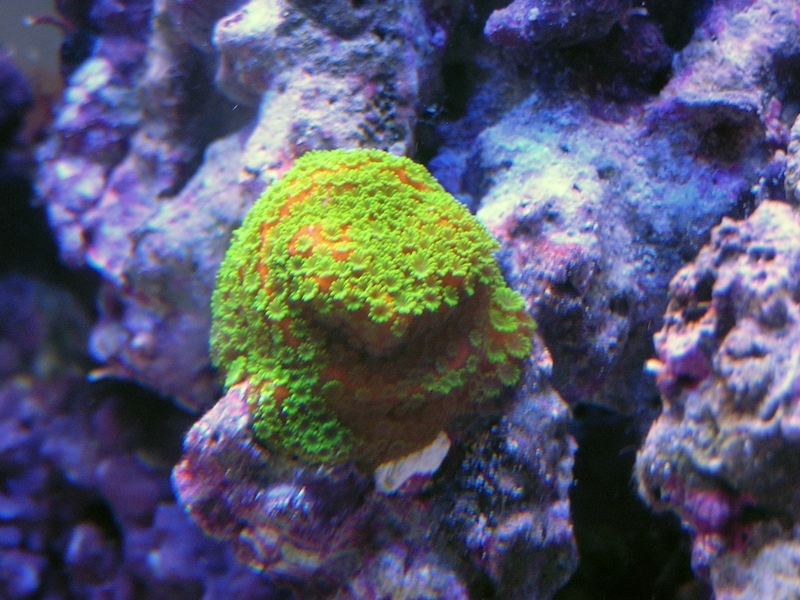 Still trying to find a prefect place for this one too. 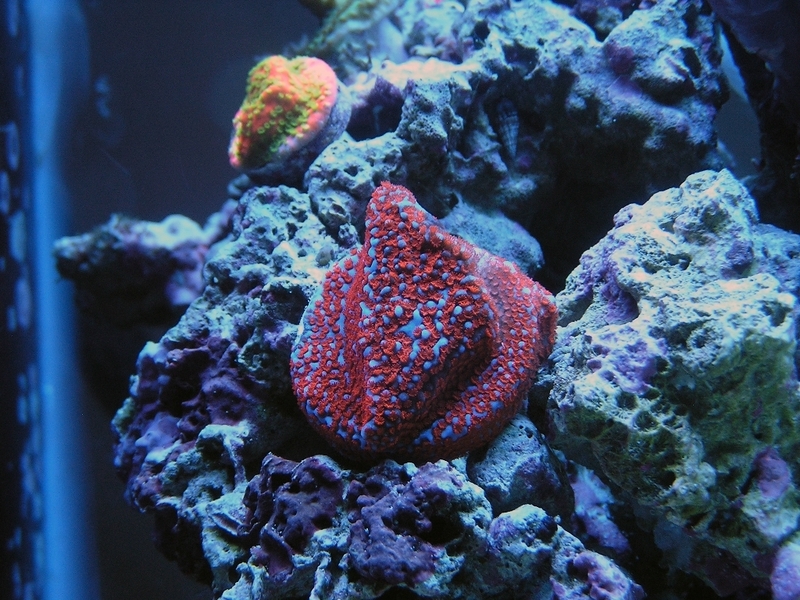 don't remember exactly when I got this. 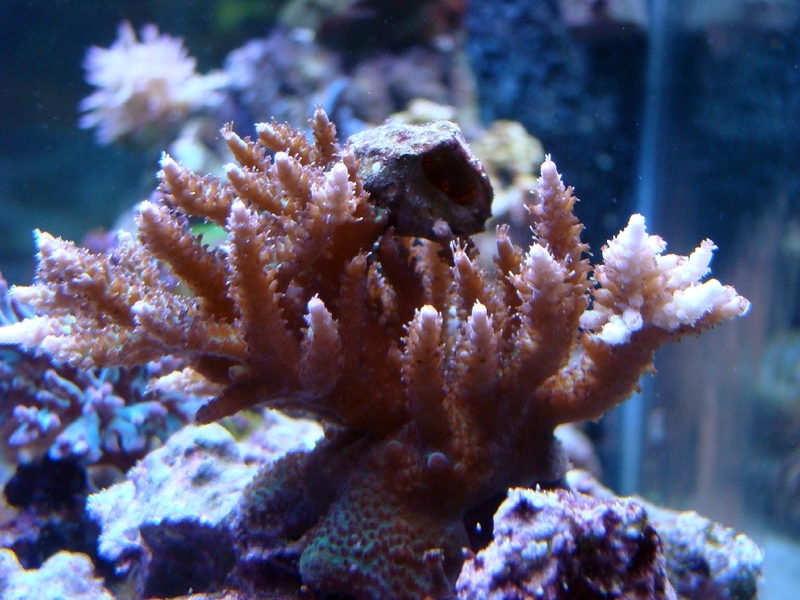 3/13/11 - Between the crabs and the snails knocking this coral over, It's lost some of it's polyps, but it's still hanging on. 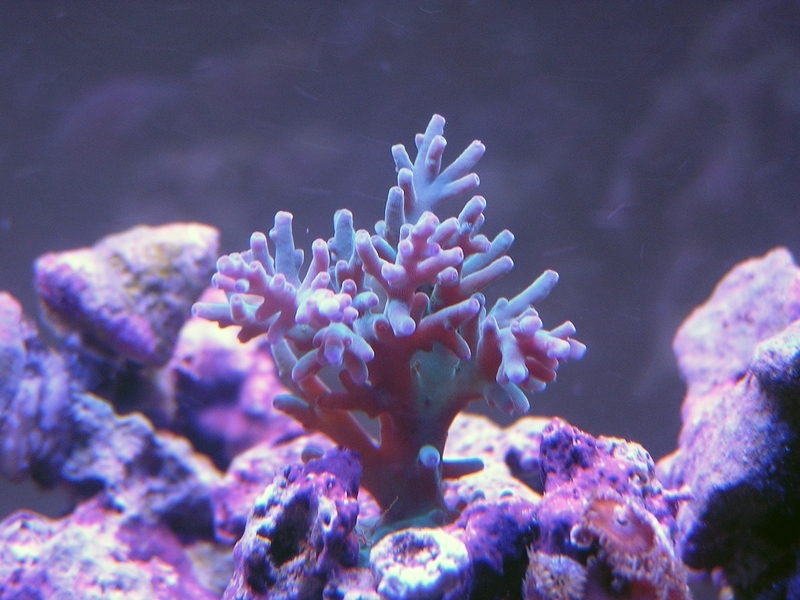 Doesn't seem to grow a whole lot. 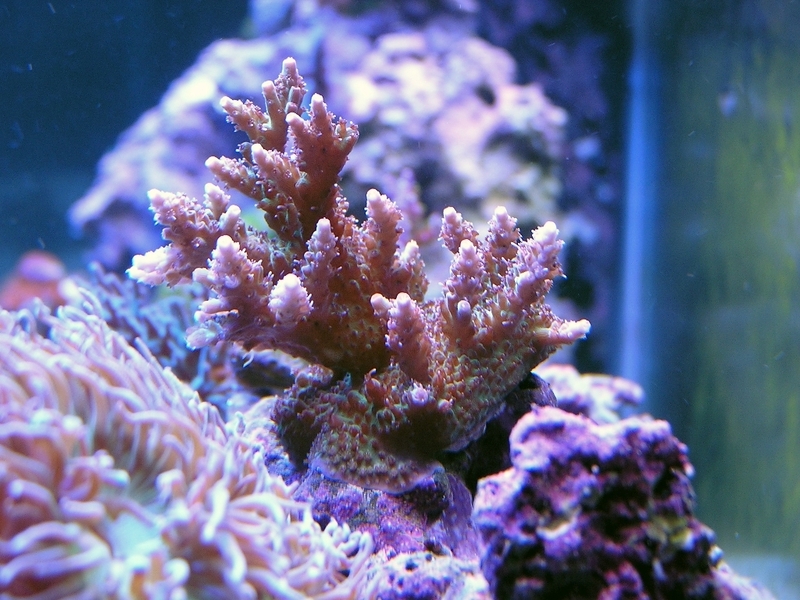 Got this piece early 2010. 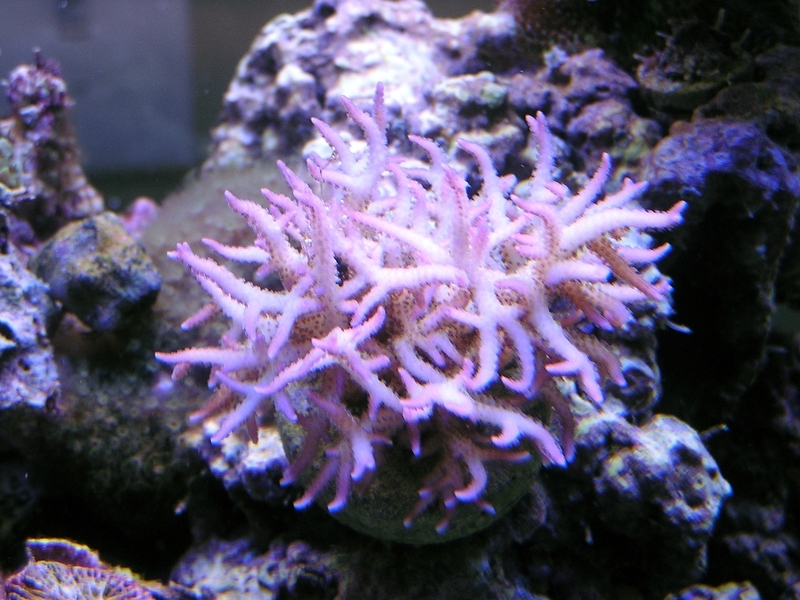 Very slow grower, probably due to the lower light from lack of metal halides or a massive array of T5s. 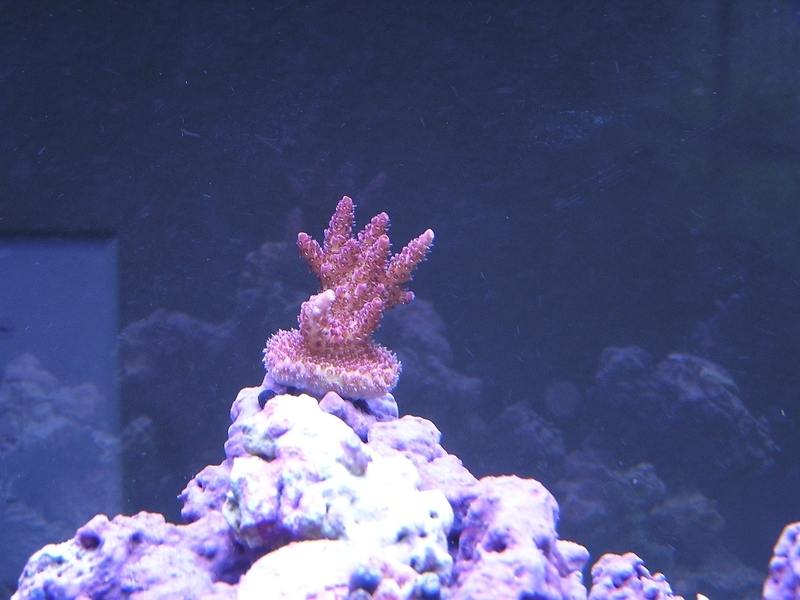 But it is growing. 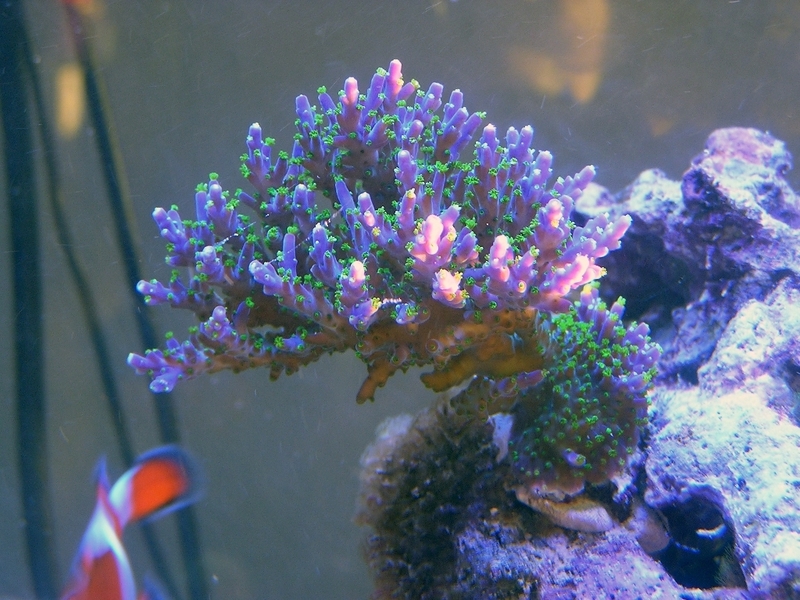 3/13/11 - This piece has colored up nicely, but grown very little. 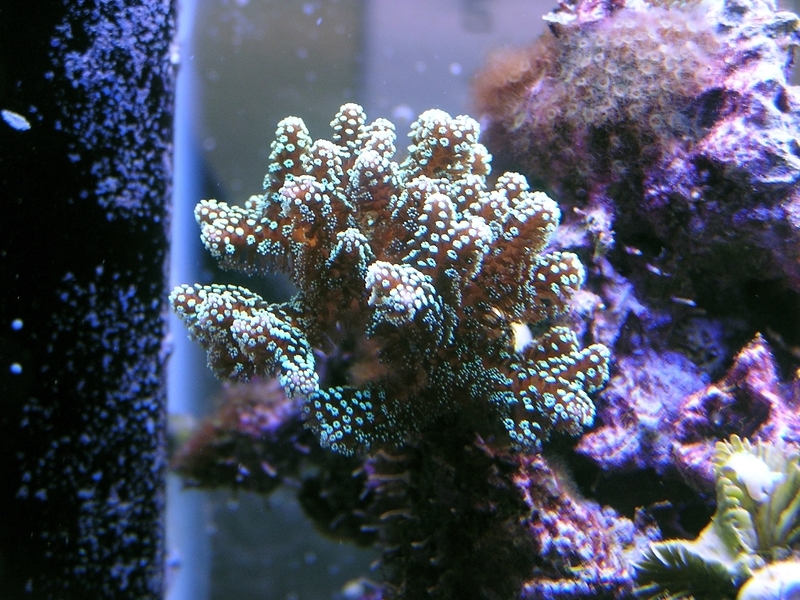 Picked this up from the ladies at Reef Diversity in their close out sale in Aug 2010. 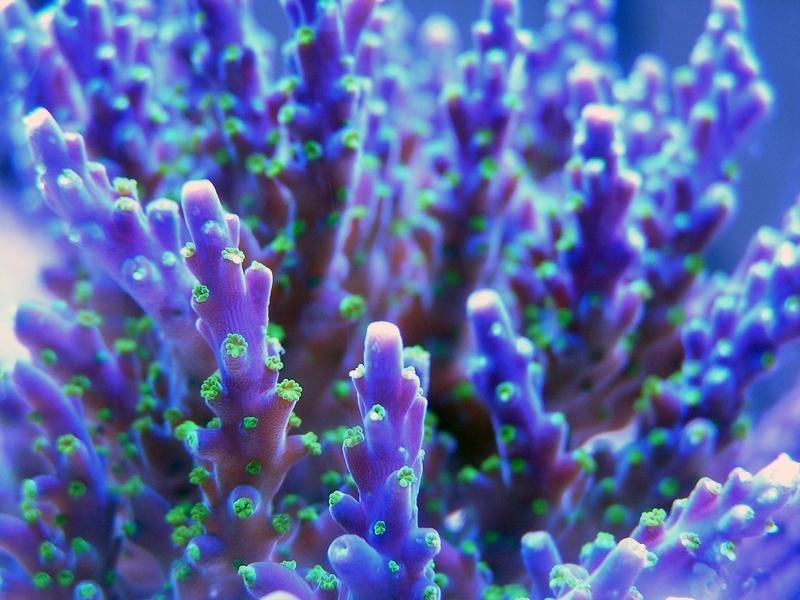 Beautiful, especially under the blue plus' only. 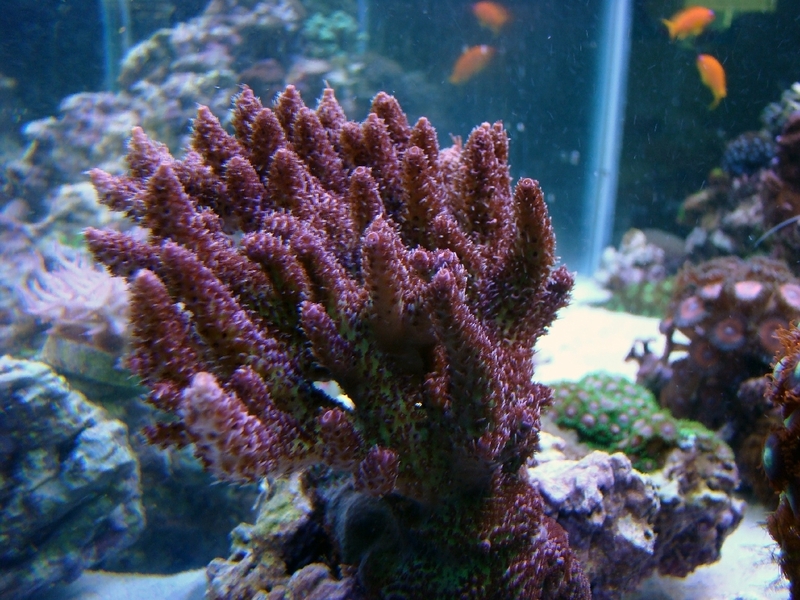 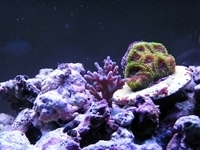 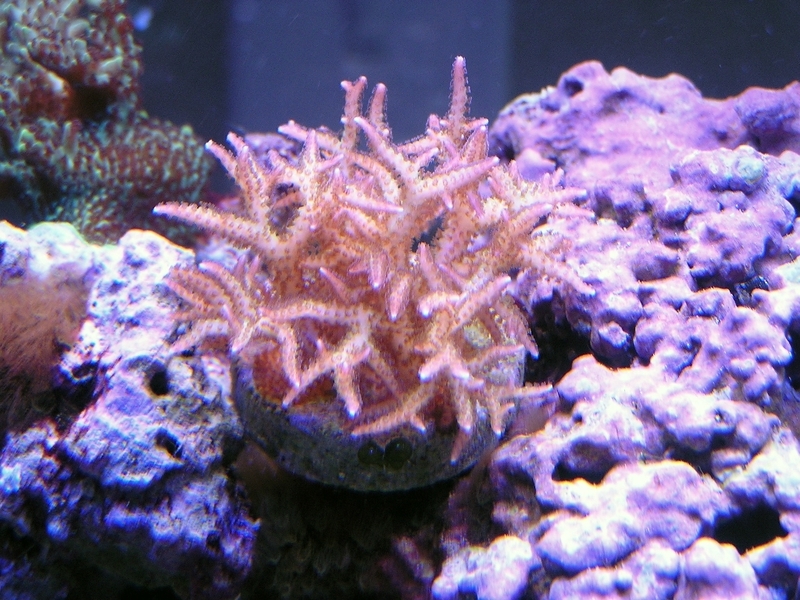 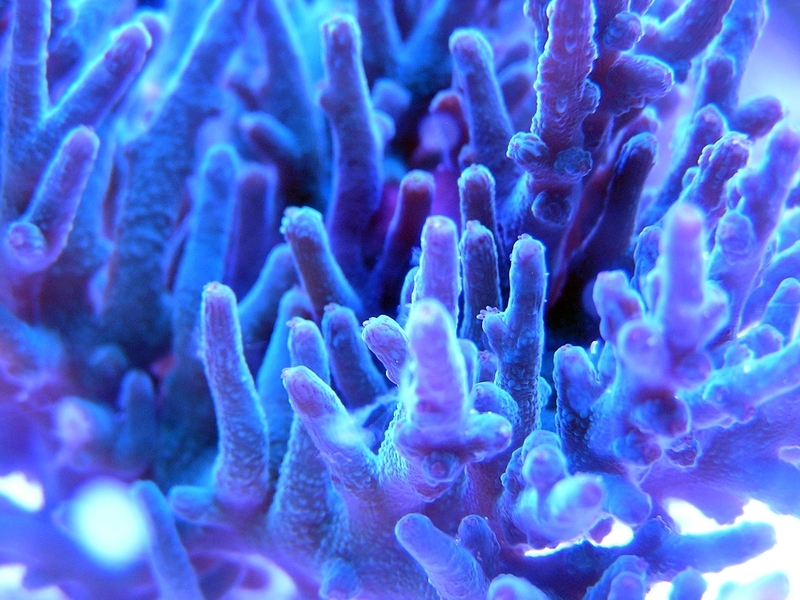 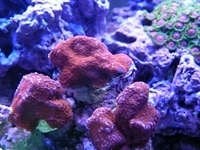 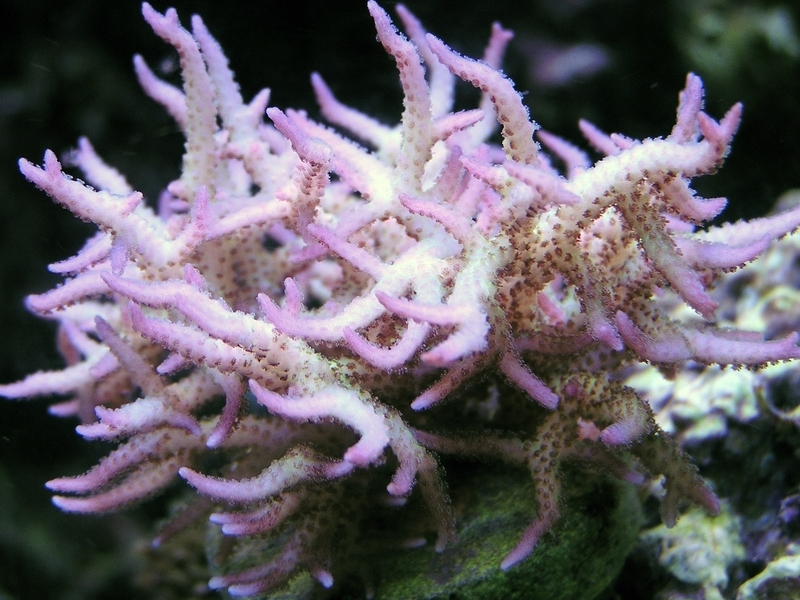 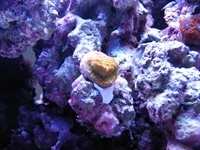 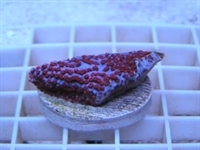 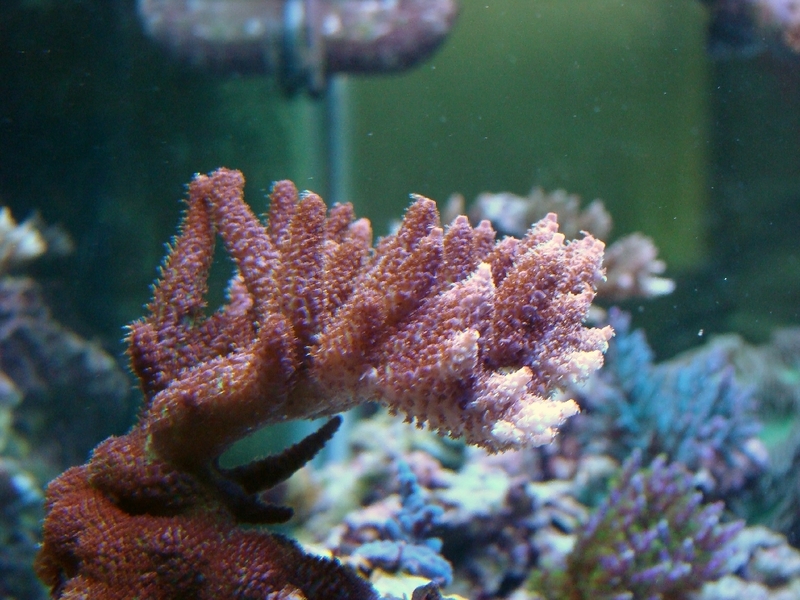 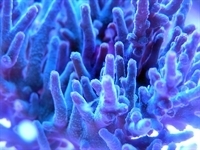 3/13/11 - This has so many polyps, it's hard to see the orange which gives it the contrast I love. 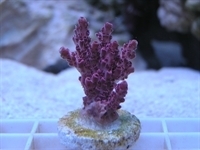 3/13/11 - Seems like a slow grower, but after looking at some older pics, it's growing pretty good. 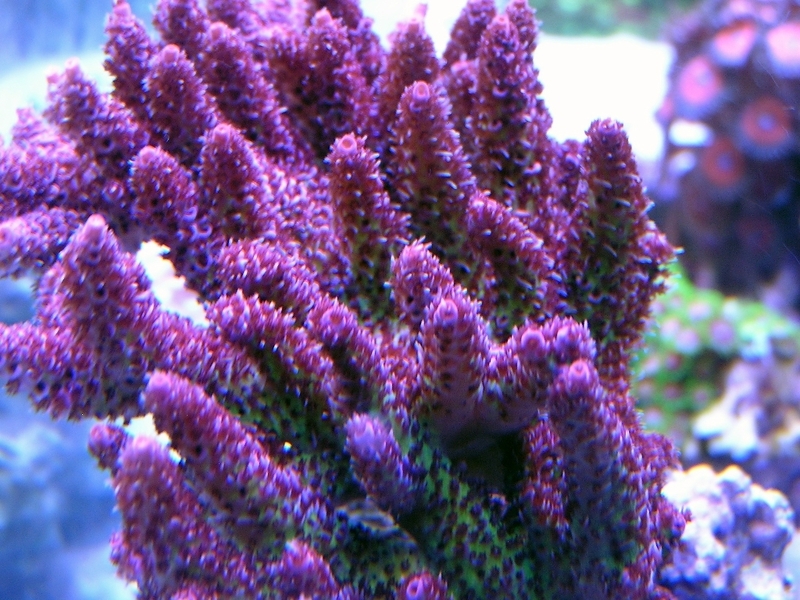 Just never see any polyps during the day. Picked this up from the ladies at Reef Diversity in their close out sale in Aug 2010. 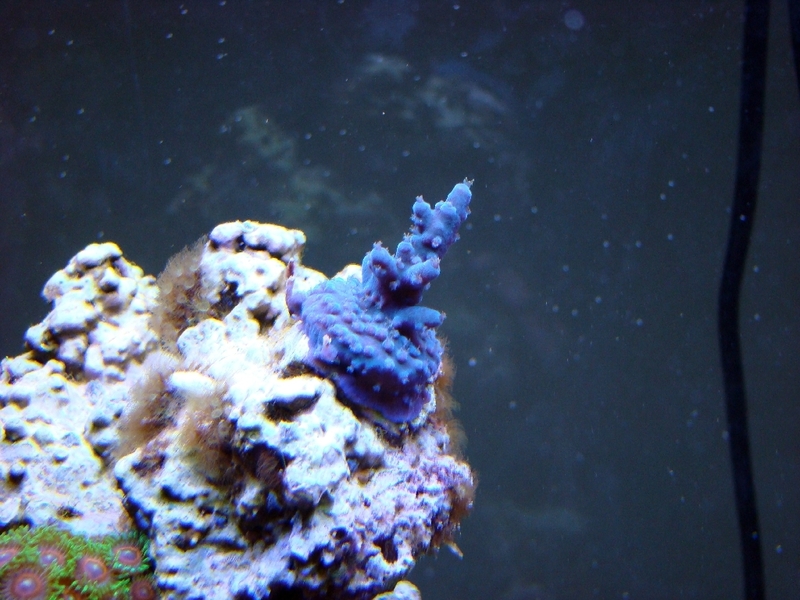 Currently (Aug 2010) not getting a lot of polyp extension, but gorgeous piece that has greens, blues and what looks like a touch of purple in it. Picked this up from the ladies at Reef Diversity in their close out sale in Aug 2010. 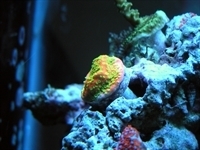 3/13/11 - It seems to be turning more green as of late, I think the alkalinity may affect it color. 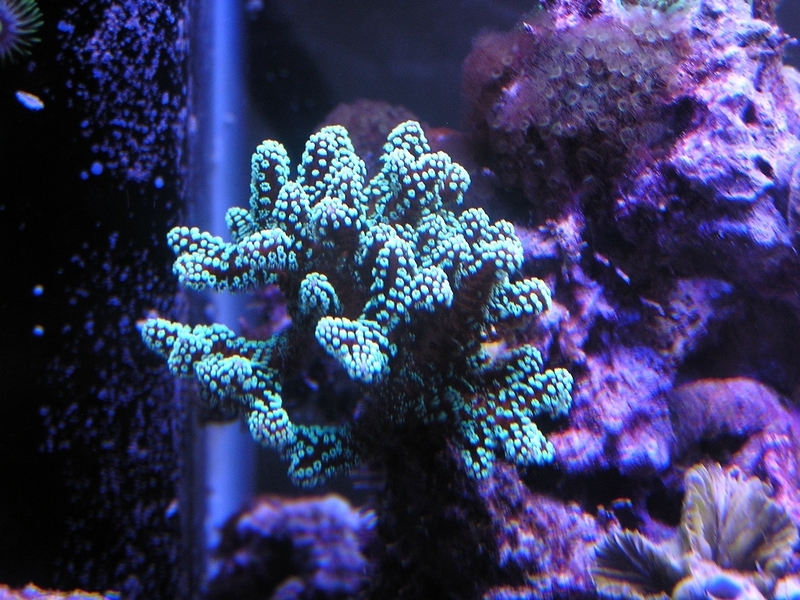 This grows like a weed. You can see growth weekly. 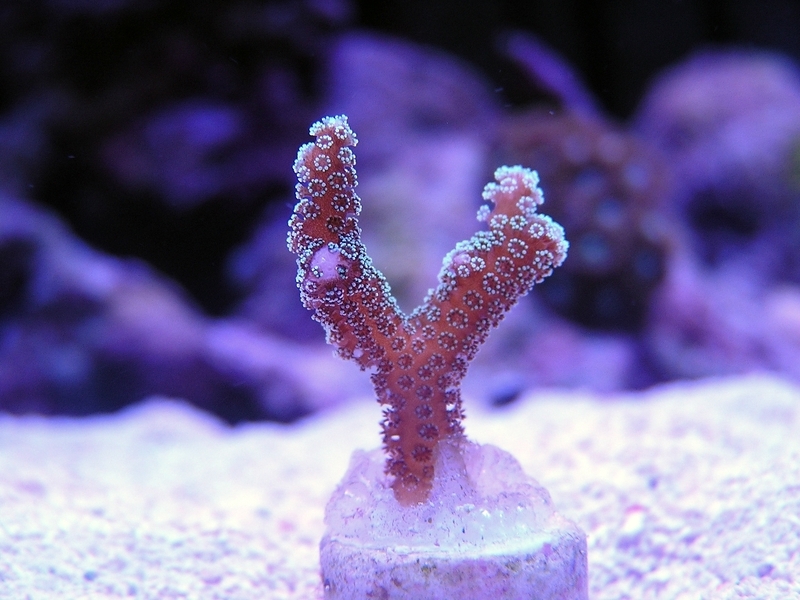 Picked this up from a trade in for the red gonipora that wasn't happy along with some zoas Dec 2010. 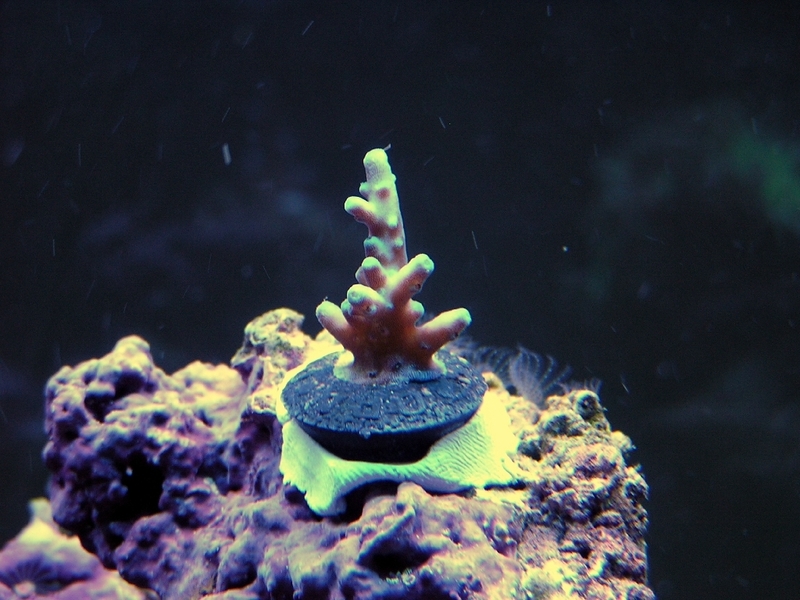 3/13/11 - For such a small piece this started out as, it's growing really great. Can't seem to get any good pics of it though. 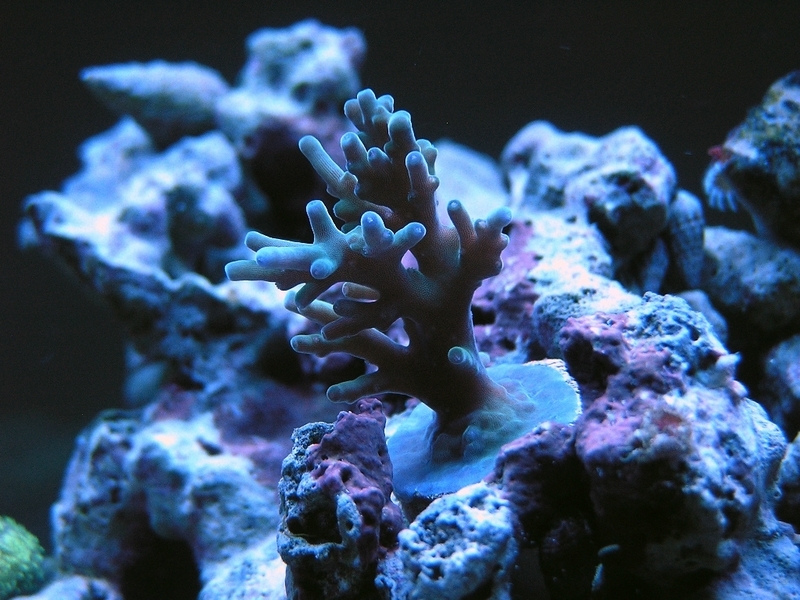 Got from FAOIS March 2011.